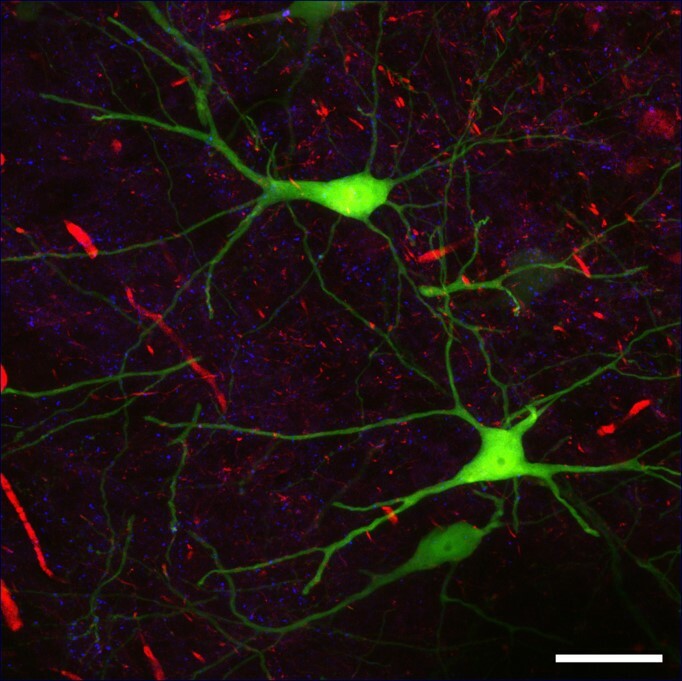 圖說: Mouse brain slice; EGFP-Thy1 (green): nerve cells (subset), Calretin-Cy3 (red): Calretinin-expressing neurons, GAD65-Cy5 (blue): GABAergic synapses. 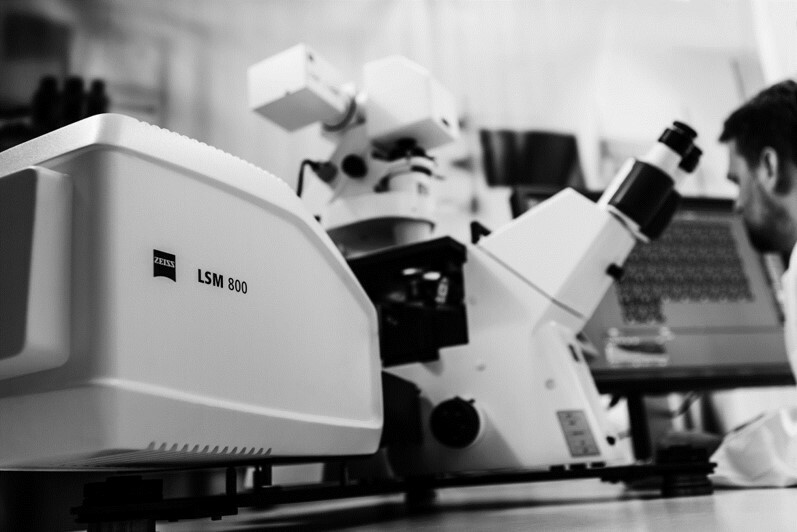 Scale bar 50 µm. 圖說: Living Pig Kidney Epithelial cells (LLC-PK1), green: Tubulin-eGFP, red: h2b-mCherry; Imaged with ZEISS LSM 800 with Airyscan, Plan-Apochromat 63x/1.4 Oil. 圖說: Drosophila brain, neuromuscular junction stained for Bruchpilot (BRP). 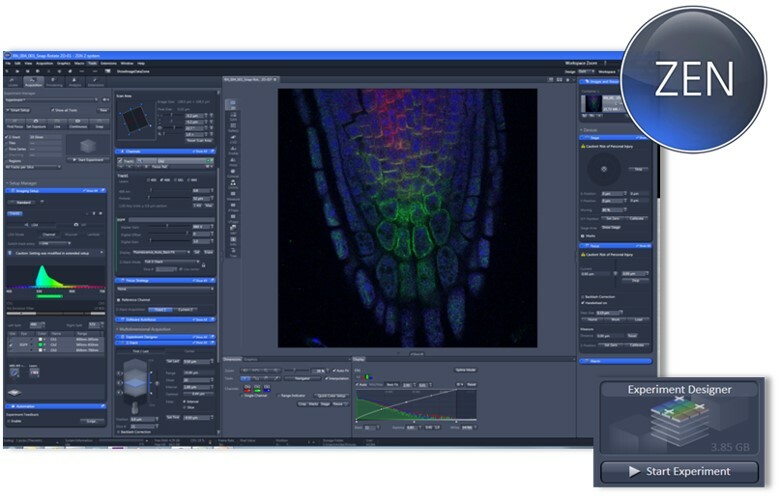 LSM 800 application image, comparison between confocal LSM and Airyscan. 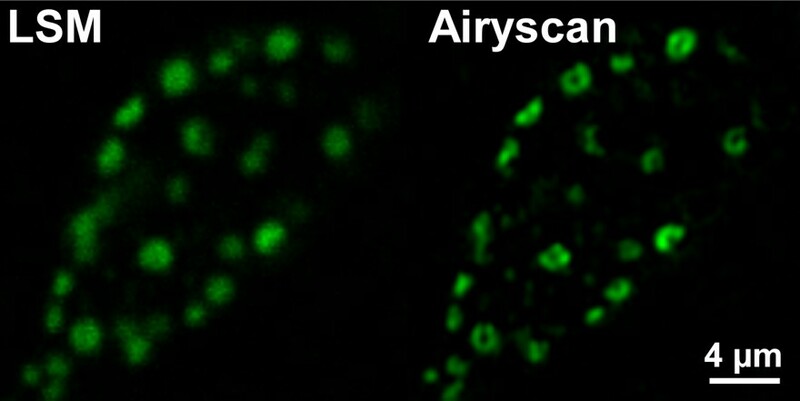 圖說: Comparison between confocal and Airyscan image. 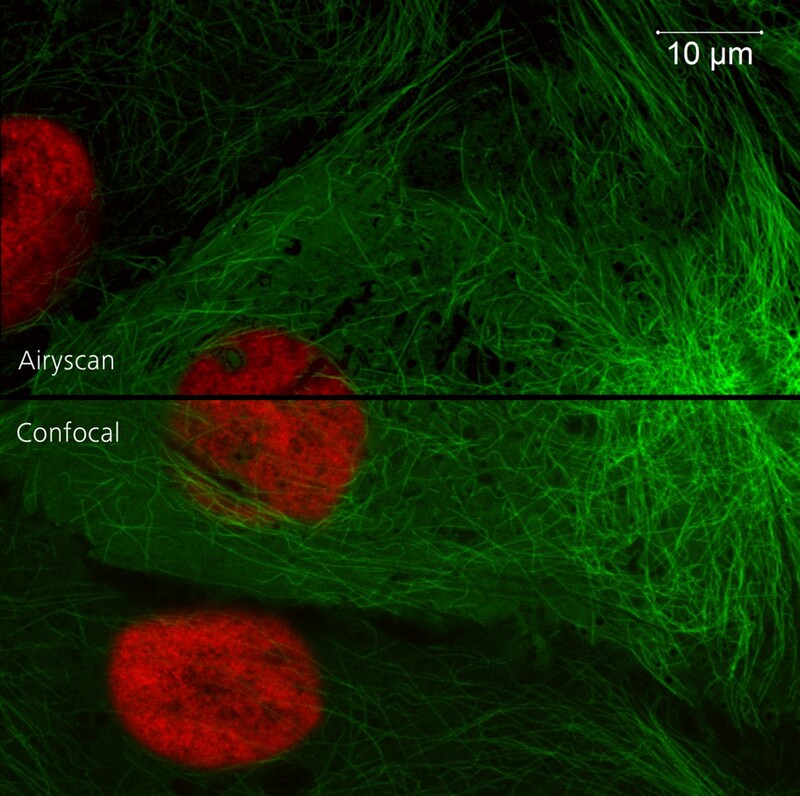 HeLa cells, red: Mitochondria membran, green: microtubuli, magenta: Actin fibres; acquired with LSM 800. 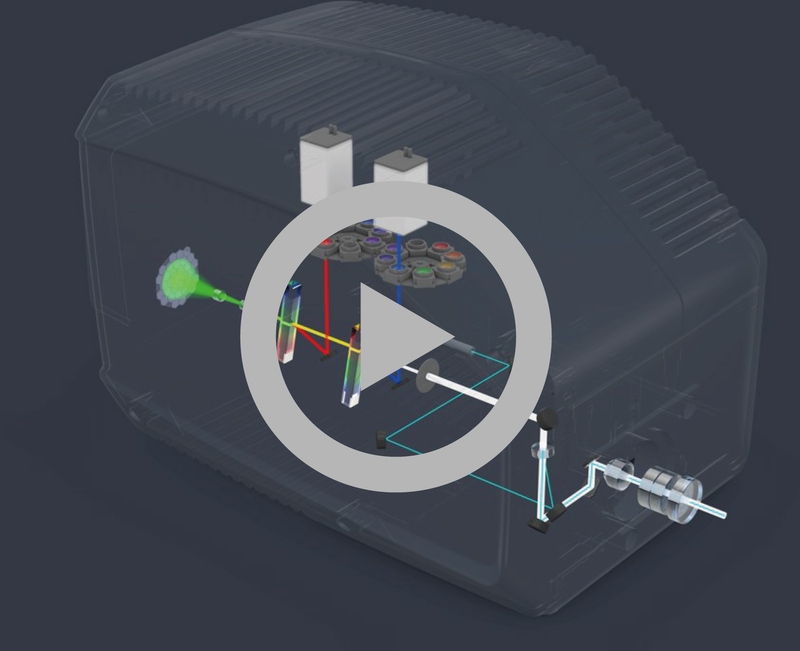 Scale bar 2 µm. The example shows Kaede expressed in HepG2 cells before photoactivation (0 s) and at different time points (1 s, 3 s and 10 s) after repeated photoactivation (every 0.1 s) with 405 nm at the indicated regions (white box). Kaede diffuses freely between the nucleus and the cytoplasm. 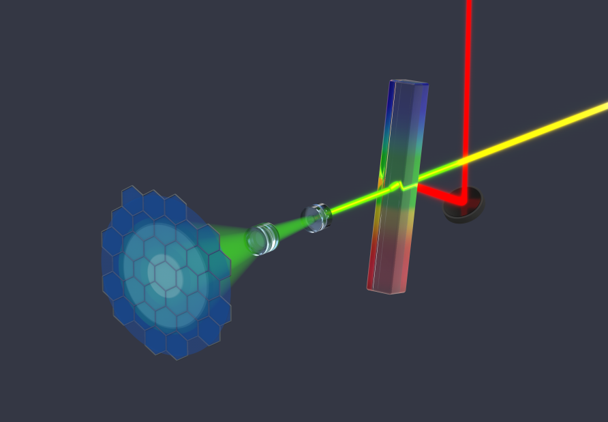 The relative intensities in AU of the non-converted form (green bars) and converted form (red bars) are shown in each image. Hep G2 cells, LSM 800 application image for FRET, Two interacting proteins (donor false colored in green, acceptor false colored in red) in HepG2 cells ("before bleach"). 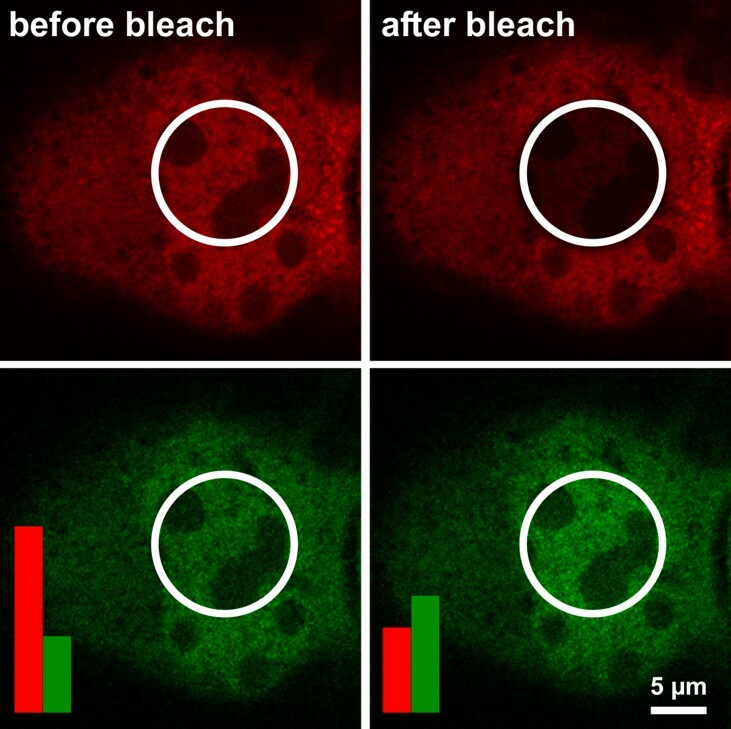 By acceptor-photobleaching (within the indicated white circle) acceptor intensity will decrease while donor intensity will increase ("after bleach") as indicated by the green (donor) and red (acceptor) bars. 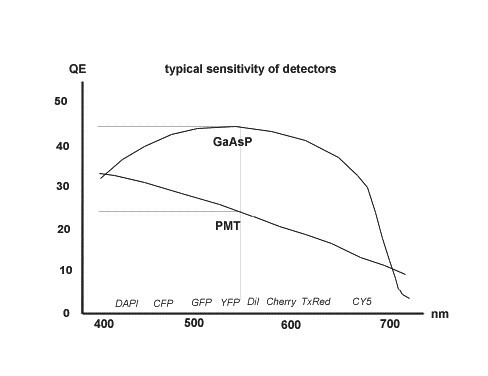 The increase in donor intensity can be used to calculate FRET efficiencies.